Leading up the Breathing Lights installation, youth media projects were developed to educate local young people in video, radio, interviewing, scripting and storytelling and to give voice to residents and stories directly illuminated by Breathing Lights. 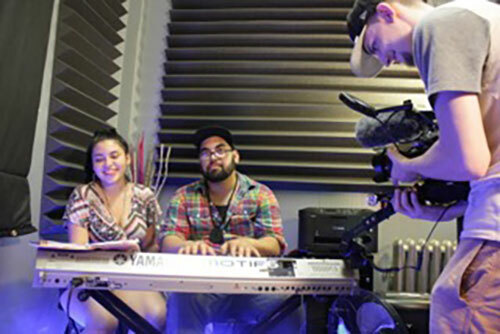 Young people and mentors from Youth FX in Albany, Told By Us Productions in Schenectady and Youth Media Sanctuary in Troy produced diverse videos that captured the youth voice in the issues of vacancy and abandonment, what “home” means and the realities of neighborhood change. Their finished products were featured at project events and at a dedicated film festival on Nov. 13th, 2016. 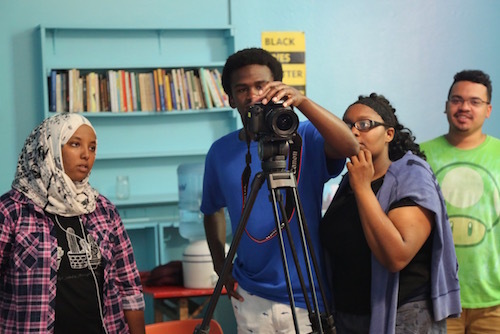 Youth FX is an intensive hands-on program designed to introduce young people aged 14-19 to the technical and creative aspects of digital film making by offering a thorough overview of the production process from script to screen. They are located in the South End of Albany and are fiscally sponsored by Grand Street Community Arts. These videos are part of the multimedia theater production of “Which Way Is Home” produced by Albany High School, Capital Repertory Theatre, NYSCA, National Coalition Building Initiative, Arts, Letters and Numbers and Youth FX. This original piece written and performed by Ar-Kee, was developed by a collaborative of artists directed by Noelle Gentile and assistant directed by Aaron Moore and Gregory Theodore Marsh and Media Director Aden Suchak and Michael Mejiia. This original piece written and performed by Willie Mae Fiddemon, was developed by a collaborative of artists directed by Noelle Gentile and assistant directed by Aaron Moore and Gregory Theodore Marsh and Media Director Aden Suchak and Michael Mejiia. Told By Us (TBU) aims to explore and communicate social challenges from the perspective of youth through the production of film and music. TBU is an artistic platform that promotes narratives that are often overlooked and unheard. Proctors is a nonprofit, cultural, educational, and charitable organization that delivers exciting shows, excellent educational programming, and community events to the extended Capital Region. A poem written and performed by Hope Edwards, describing the emotional responses vacant houses invoke and comparing the emptiness of a person and a house. A music video filmed in a vacant house, original song written and recorded by Trevor Yarter, Alexis Rivera, Josh Cseh and Steven Rivera. 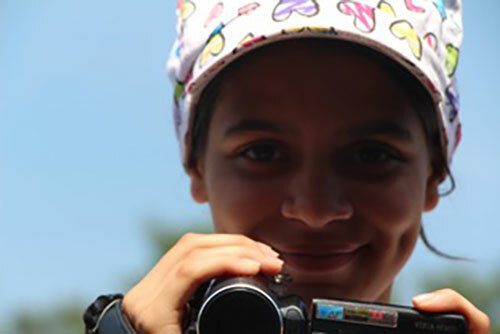 Youth Media Sanctuary is a community media arts project designed to teach multimedia skills to young people to help develop urgently needed independent local voices in this economically devastated neighborhood. Youth Media Sanctuary aims to help bridge the digital divide, both in terms of immediate outcomes and as a call to the future. They hope to give voice to, and access to the voices of, a chronically under-served population—the youth of North Central Troy. By Kai Griffin, Bryanna Mangual, Diajah Grier, Milan Miles, and Andrew Pintro, tells the story of a family forced out of a deteriorating rental “now abandoned,” with a happy ending of owning a home. By Sadie Anson, recounts restoring a vacant building into a loving home.